Smok TFV4 Pyrex Glass Replacement Tube, which adopts high quality pyrex glass to offer long service time, has 5ml capacity to meet your daily needs. Please notice that it can only work with Smok TFV4 Tank. Smok TFV4 Pyrex Glass Replacement Tube, which adopts high quality pyrex glass to offer long service time, has 5ml capacity to meet your daily needs. Please notice that it can only work with Smok TFV4 Tank. You will find that change glass tube is really easy with this replacement tube. Just get it as your spare part. 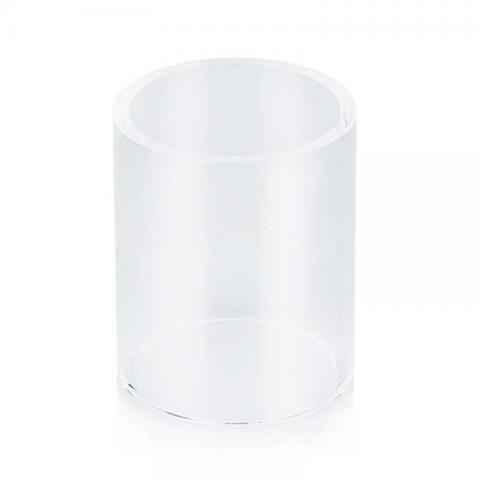 Smok TFV4 Pyrex Glass Replacement Tube is a 5ml capacity tube. Made of Pyrex Replacement Glass. Fits Full Size TFV4 Tanks Only. The glass can be replaced.